As the smallest tuna species in the Atlantic, the Blackfin Tuna usually grows to a maximum of 39 inches in length and weighs up to 46 lbs. Like their name suggests, Blackfin Tunas are distinctive for their black, oval-shaped bodies, along with light yellow coloring on the finlets and side. Although the Blackfin lacks size, they often more than make up for it by traveling in large numbers and being willing to bite. In addition to schooling with other Blackfins, it often forms massive schools blended with Skipjack Tuna. The small tuna species is endemic to the western Atlantic Ocean, ranging from the waters of New England to Brazil. Typically, Blackfin Tuna are warm-water fish that prefer swimming through seas with a temperature over 68 degrees Fahrenheit. Blackfin Tuna prefers to frequent clean waters seaward from the continental shelf. Along the Florida coast, it is most abundant during the fall, winter, and spring months because it migrates to more temperate waters in the summer. Blackfin Tuna are known for being both epipelagic and mesopelagic hunters, which means they seek food on both the surface of the water and in deeper seas. Their diet mostly consists of smaller fish, squid, shrimps, crabs, amphipods, stomatopods, plankton, decapod larva, and other crustaceans in their range. It is often found hunting over reefs, bays, and offshore in deeper waters. They feed by straining prey from the water, as well as capturing and then engulfing the fish. 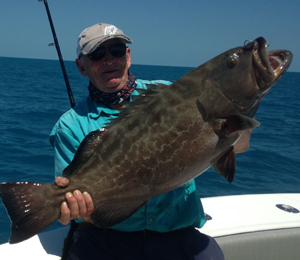 Around the Florida Keys, the spawning season for Blackfin Tuna peaks in May, but extends from April to November. 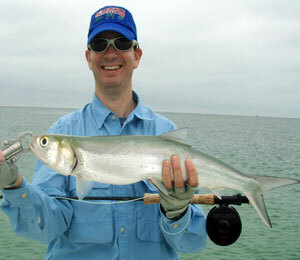 In the Gulf of Mexico though, spawning typically takes place between June and September. After reaching sexual maturity at just two years old, the Blackfin migrate towards the open offshore seas in tropical regions to spawn during the season. Since this tuna species has such a short life span, the fish grow rapidly and are considered old by 5 years old. 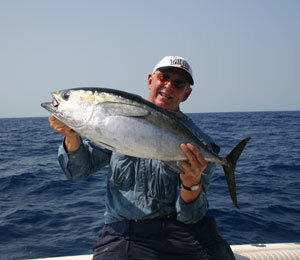 In Key Wet, Blackfin Tuna are often reeled in on the backs of shrimp boats in the Gulf of Mexico. They are also caught in the Atlantic Ocean on deep shipwrecks or offshore in deep seas under schools of dolphins and baitfish. This tuna is an excellent light tackle species that can be taken in by trolling or casting small lures, such as mullet, ballyhoo, jigs, and feathers. Live bait can also be used when fishing from boasts at the surface of offshore deep waters one or two miles from the coast. Although it has some local commercial importance in the region, it is predominantly a fisherman’s species. When finishing for them off shrimp boats, it is best to be on the lookout for birds that are indicators of a school of Blackfin Tuna feeding on baitfish. 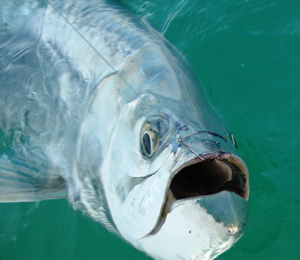 Chumming the deep wrecks with live baits and shrimp trash can also be very effective for catching the tuna. When reeled in, the spunky Blackfin Tuna species delivers high quality flesh and packs some delicious flavor.